Tuners are always striving to make high-performance cars even more potent. In this case, tuning company Underground Racer has pushed the limits of what the Lamborghini Huracan can do. In stock form, the mid-engine supercar pumps out 602 horsepower from its naturally-aspirated 5.2-liter V10. Clearly, the tuner didn’t think this was enough, because this modified Huracan now produces over 3,500 horsepower. To achieve this, the tuner installed a custom engine complete with a full billet block and huge turbochargers. If you already own a Huracan and have $200,000 to spare, you can have a street-legal Lamborghini with twice the power of a Bugatti Chiron, which is difficult to comprehend. Unsurprisingly, such monumental levels of power results in some breathtaking performance figures. At a recent event in the US, Underground Racing unleashed a series of Huracans onto the drag strip. Incredibly, each car completed the half-mile at over 220 mph. The fastest of them all was a bright yellow Huracan that hit a top speed of 229 mph. As impressive as that is, it’s entirely possible these Huracans could have achieved an even higher top speed in a longer run. 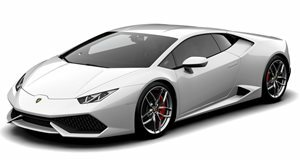 Last year, a Lamborghini Huracan even - only 11 mph less than the top speed of a Bugatti Chiron. That’s going to take some beating, but we suspect that won’t stop Underground Racing from trying.